I’m offering two regular birding trips of about 2 and a half to 4 hours each. 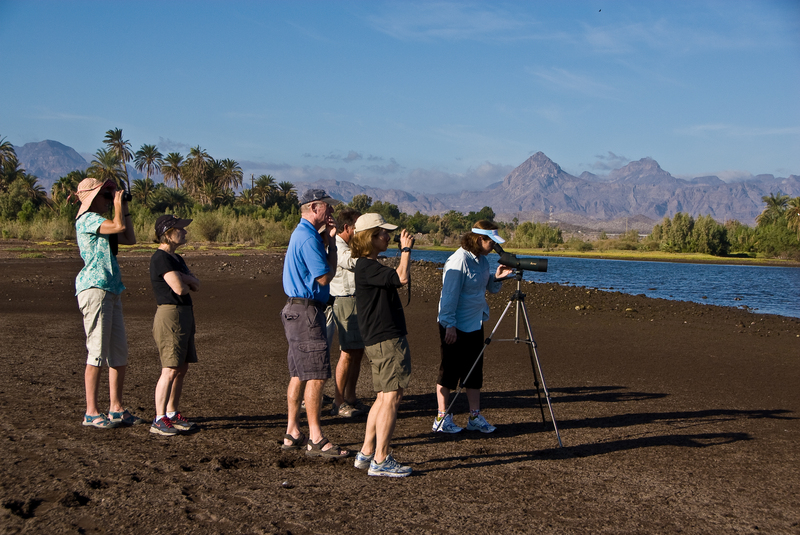 One is a freshwater walk including a lake and desert scrub area, the other is around a saltwater estuary. Both are mostly flat, firm ground and easy walking. We are identifying from 30 to 50 species on either outing. The two outings can be combined. The charge is $150.00 pesos mexicanos per person per hour. Cash only, please, pesos preferred. I can provide binoculars and transportation for up to 4 people. If you are interested in either or both outings, give a call or email to reserve a time and get directions to the site or pickup location. Time starts at pickup. If you have specific species or environment interests we can talk about alternative strategies. Visit the website below and click on “Recent Sightings” to view a database of what species are currently being seen. Las Garzas is saltwater and Nopoló is freshwater.